As United States of America is growing in population coming from all over the world, American classroom are also growing in diversity and challenges. According to the 2010 Census, 40 million out of the 308.7 million people resident in the United States are foreign born. 53% of them came from Latin America (LA) and Caribbean. Between 2000 and 2010, the Hispanic population grew by 43 percent. It is a fact that the Hispanic population has increased, mainly in states like California, Texas, Florida, New York, New Jersey and Illinois. As a result, the need of global thinking and multicultural curriculums has become a priority in our public school systems. 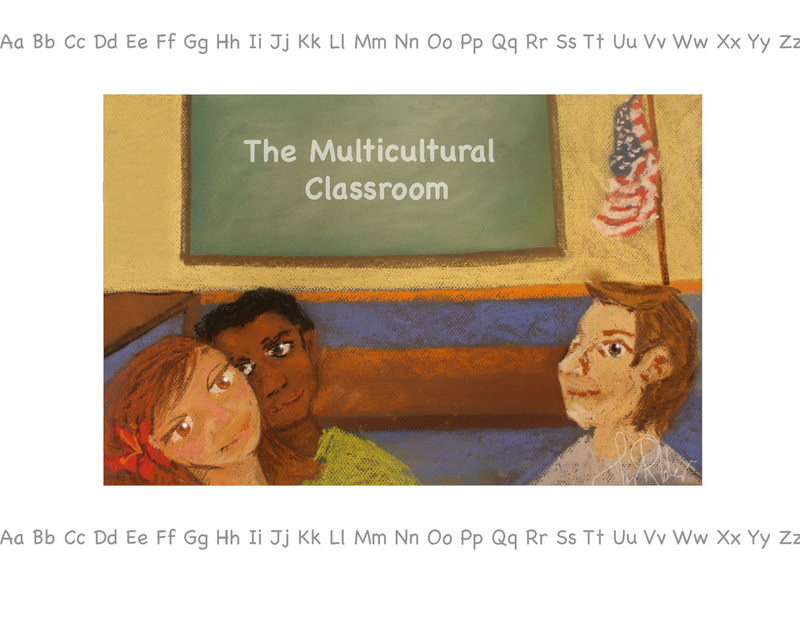 Multicultural education involves primary relationships among people and culture. The sensitivity and understanding from teachers is very important to get the child to feel confident and at home. As an immigrant and Latina I am inviting you through this project to rethink Latin American culture in the everyday American classroom. Latin American and the Caribbean; were discovered by Christopher Columbus in 1492. Spaniards and Portuguese came to the New Continent where they found a land with rich Indigenous civilizations like Mayas, Aztecs and Incas. Anyhow, these lands were almost virgin, and prosper in harvest; they were a perfect place to start new societies. Conquers needed slaves to work in the fields and built, so they brought to the New World Africans form the West coast of Africa and people from the Old world to help them. By this time, the mixture of races in LA has begun and the “ Mulattos and Mestizos” were born. Therefore, features of people from LA can diverse widely from area to area, from indigenous to Caucasians, from Africans to gauchos, and unfortunately from educated to none educated as well. Roots, history and culture unite Mexicans, Central and South Americans, Caribbean’s, and Brazilians. This is Latin American; it has a striking visual culture. It is a colorful place full of diversity and textures, where hardworking people know what adversity means, where social injustice is an everyday deal but where we believe in family, neighborhoods and history. Latinos are loud; they dance, tell stories and celebrate life. It is a land of faith and a land of traditions, like Guatemala, where every year the most beautiful natural rugs are made out of flowers and colorful sand to venerate the Holy week or Rio in Brazil and their famous carnivals. LA land is rich in biodiversity, it has wildlife and rainforest, it has paradise beaches and majestic mountains and the weather is privilege because it is closer to the equatorial line. Geographically, LA land is very blessed, because of it they can produce a variety of grains like rice or beans, you can find the most exotic fruits and veggies, beautiful flowers and landscapes. All together inspire artist, photographs and writer around the world. LA had also known adversity, government issues, dictators like Hugo Chaves or Fidel Castro; it knows what a civil war is and many live under very poor circumstances. Anyhow, Latin America is a place full of possibilities and therefore its artist has so much to offer. Latin Americans are thankful to share this with other cultures; they are open to teach you about themselves. Luckily, Latin American art is very welcoming in museum and galleries around the country as the Art Institute Chicago, The Smithsonian Art Museum in DC and the Museum of fine art in Houston among others. Their collections count with pieces of all time Hispanic artists like Frida Khalo, Rufino Tamayo and Diego Rivera. Children are definitely not excluded to have a taste of their Latino roots but how about the contemporary art? Do they really know what is happening in Latin American nowadays? Contemporary Latin American art is also desired in the US galleries, several art pieces are selling over millions of dollars in auctions like Christie’s and Sotherby’s in New York City. The Colombian Fernando Botero, the Brazilian Romero Britto and Puertorrican Pepón Osorio are just a few of the well-known artist showing in these places. Their work is a clear representation of the meaningful and colorful Latin American culture; there you can find family, neighborhood and holiday scenes. They address today social issues, represent history and depict the new face of Latin Americans living in the United State of America, therefore the worthy of their work. Thanks to artist like Botero, Britto and Osorio; digital media and globalization; and also through the students themselves, art educators have great access to materials about LA culture. They can certainty have a new and a refreshing approach to their multicultural curriculum through Latin America. Nowadays, there are several foundations through museums and individuals interested in teaching about Latin American art in the US like Museo del Barrio or El Taller Latino Americano (The LA workshop) in NYC. I was very lucky to find Piensa en Arte/Think Art, a private initiative of the Fundación Cisneros and Colección Patricia Phelps de Cisneros designed to introduce the creative and critical thinking processes that are implicit in art making into traditional education systems. It integrates creative and critical thinking, provoking active questioning, interdisciplinary thinking, unexpected connections, and freedom from pre-established orders. As it been said, LA culture is rich in color, textures and diversity, ideal attributes to create, so here are a couple ideas for new “mestizo” projects at school. This projects were created with the idea of bring something fun an new to our traditional multicultural classrooms. Project No 1. The Family and Holiday Project, Pepón Osorio Style. Objective: Breaking down the cultural barrier. Materials: Pepón Osorio art samples and biography http://auca150art.com/PeponOsorio.aspx, cardboard, scissors, magazines images, glue, acrylic to paint background. Discussion Started: First introduce Osorio as LA Artist. Talk about where he is from, why he is famous and what kind of art does he create. Second, talk about family stories and tales, let the children remember holidays or special occasions and let them describe as much as they can. Finally, tell your students to remember the main furniture or object from that memory. Process: Make a busy collage. First, draw the object they recall from their memory in a big scale so they have space to work. Over decorate it with magazine pictures, cut and paste. Everything needs to be related to the student story. Discuss how does the art piece represent the student family and their memories. Let the student explain their creation with their classmates. Objective: Teach about LA contemporary artist Romero Britto and create some conscience about how cultures can differ in tastes and food products– we usually like to eat what we learn at home, no matter where we live. Materials: Romero Britto art samples and biography. http://www.britto.com/, cardboard, black thick sharpie, acrylics and oil pastels. Discussion Started: First introduce Britto as a LA Artist, talk where is he from, why is he famous and what kind of art does he create. Talk about LA characteristics. Second, talk about diverse produce and food from all over the world, for example, corn, apples, potatoes, avocados, bananas, carrots and so on. Finally, lets the kids give ideas on what they have at home or what their parents like to eat or what grandma prepared to them, that they really enjoy and makes them feel good. Process: Then, make a big drawing of the produce of their choice in the cardboard, base in their thoughts, simple lines and very graphic. Let the children use color and texture as Britto does in his work to design their artwork. Student can use oil pastels and acrylics to make it colorful and vibrant. Outline it with black sharpies or black oil pastel. Make a Contemporary LA Art display at school. Living between cultures is not easy for anyone, and known all the fact about all the cultures is not our job as teachers; but art educators have a commitment which is to bring refreshing ideas, to present new perspectives and to plan fun projects so we can get the children attention and their learning process can run smoothly. From my view, we as art educators can help all this large Hispanic population to acclimate easily to American society and the American classrooms can have a revitalizing face of Latin American through LA contemporary art. To finish I would like to share what Professor Christine M. Thompson (2009) a Cuban Art Educator in Penn State University wrote; “The nurture of children art and the international exchange of children images… was meant to demonstrate the familial relationship of diverse cultures and to encourage recognition, empathy and solidarity across borders.” (p165) It’s a fact that our classrooms need to be more open, tolerant and reflective inside and outside of schools. We are favored to live in a place where diversity and cultures are very handy to us and to our children, lets just teach them to behave among variety. • Yale New Heaven Teachers Institute, Latin Culture Through Art and Literature. • Colección Cisneros, a foundation base in NYC and Caracas. • Interview to Arturo Herrera. Art 21(Year) Venezuelan Contemporary Artist. Collage and abstract.